Grounded in a strong evidence base, this indispensable practitioner guide and text has given thousands of teachers tools to support the literacy growth of beginning and struggling readers in grades K–2. The interactive strategies approach (ISA) is organized around core instructional goals related to enhancing word learning and comprehension of text. The book provides guidance for assessment and instruction in whole-class, small-group, and one-to-one settings, using the curricular materials teachers already have. Purchasers get access to a companion website where they can download and print 26 reproducible forms in a convenient 8½" x 11" size. Of special value, the website also features nearly 200 pages of additional printable forms, handouts, and picture sorts that supplement the book's content. Incorporates the latest research on literacy development and on the ISA. Describes connections to the Common Core State Standards (CCSS). Explains how to use the ISA with English learners. Expanded coverage of morphological knowledge. Companion website with downloadable reproducible tools and extensive supplemental materials. 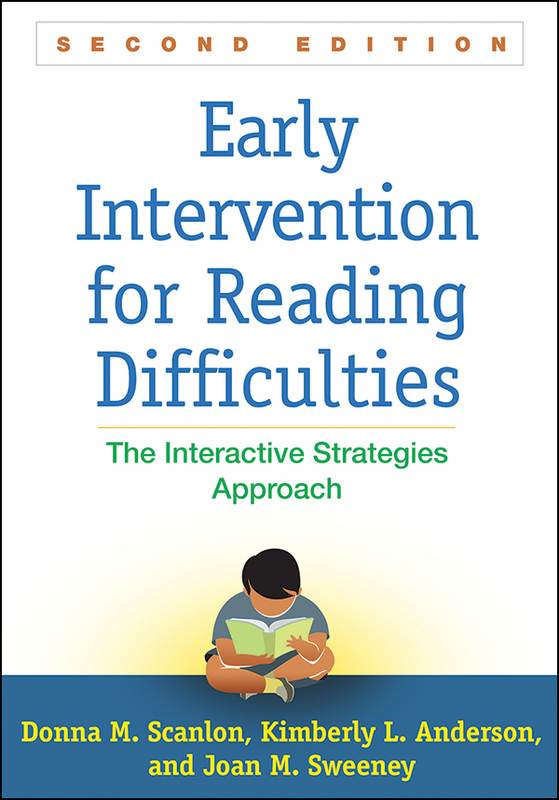 See also Comprehensive Reading Intervention in Grades 3–8, by Lynn M. Gelzheiser, Donna M. Scanlon, Laura Hallgren-Flynn, and Peggy Connors, which presents the Interactive Strategies Approach—Extended (ISA-X) for intermediate and middle grade struggling readers.